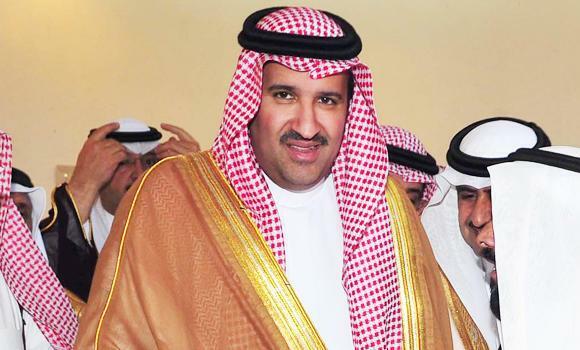 Prince Faisal bin Salman, Madinah governor, said that the outstanding success of the construction projects in the Prophet’s city should be accompanied by a qualitative leap in the humanitarian treatment of the visitors to Madinah. He was speaking during the launch of a training program for government employees dealing directly with citizens, residents and visitors. The program was launched by the province’s governorate in cooperation with the Islamic University. The governor witnessed the launching procedures, and the signing of the memorandum of understanding between the university and entities that benefit from the program. These include the Presidency for the Affairs of the Prophet’s Mosque, the branch of the Ministry of Islamic Affairs, the Education Ministry, the Commission for the Promotion of Virtue and Prevention of Vice, the branch for the Ministries of Commerce and Health Affairs, the branch for the Ministry of Haj, the police, traffic, passports and civil defense departments, special emergency forces, road security department, Adilla private establishment and the branch of Saudi Arabia Airlines. The program points to the governor’s concern about providing high quality services to citizens, residents and visitors. The program also aims to take care of Madinah’s visitors from the minute they arrive in the Prophet’s city until their departure. Dr. Abdulrahman Abdullah Al-Sanad, dean of the Islamic University, thanked the governor for his faith in the University by assigning it the implementation of the program. The program aims to raise the competency and ability of the trainees, and equip them with the needed skills for dealing with beneficiaries. In other news, Prince Faisal bin Salman will also preside over a ceremony to honor the winners of the international competition for designing the Qur’an Oasis project, which has been launched by the Madinah Development Authority. The ceremony will be attended by local and international specialists who represent global experience in related fields. The ceremony will evaluate the projects and nominate the best ideas, in addition to launching a complete exhibition for the award that will last for one month. Dr. Talal bin Abdulrahman Al-Raddadi, secretary general of the Madinah Development authority explained the idea behind the Qur’an Oasis project. He said a royal decree had been issued two years ago to establish this project in Madinah. A committee was formed to study the proposal which was suggested by Prince Sultan bin Salman, president of the Saudi Commission for Tourism and Antiquities. The committee decided to assign the Madinah Development Authority, a special team from the SCTA, Ministry of Islamic Affairs, the Ministry of Finance and the Madinah Municipality with this task. He said the commission initiated an international competition for the designs, and drafted a booklet about the rules and regulations of the competition, that included major architects specialized in this field.